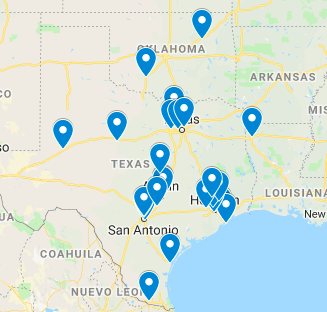 Today we’re releasing a new feature on the site, a map of all of the TRU clubs! We’ve based the club locations off of the home field pitch locations located in WTR. Need something changed or updated? Send a note to admin@texasrugbyunion.com.